What’s Next For The Star Trek Kelvinverse? The J.J. Abrams Star Trek reboot warped out of the drydock and reinvigorated the franchise nine years ago. For a while it seemed as if Star Trek was back in the public eye, though it was radically changed. But it didn’t have any staying power as seen with the collective meh from the general public over the last Star Trek film and the downright hostility from old-time Star Trek fans who correctly charge that the Star Trek films strayed too far from the core essence of Trek. 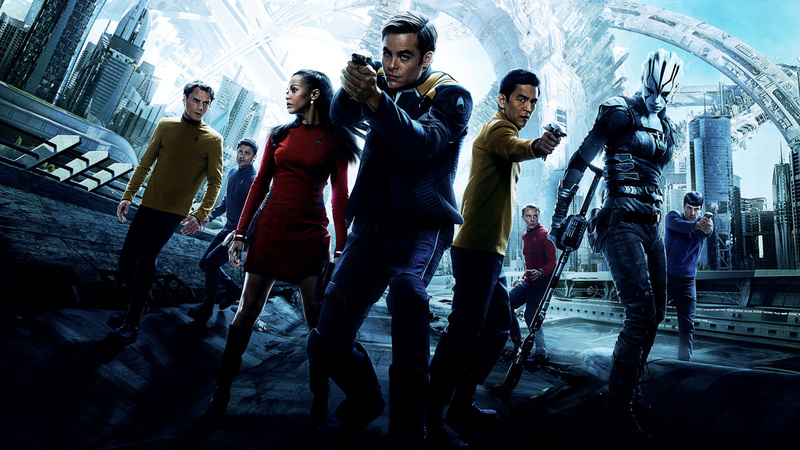 There are many reasons for the indifference towards the Star Trek reboot but it gained more notoriety with the recent news that Chris Pine, who played Captain Kirk, the center of the Star Trek films, has walked away from the planned fourth film, along with Chris Hemsworth, who briefly played Kirk’s father. The two actors left the project over money since Paramount Pictures wanted both of them to take a pay cut. In the end, this is a negotiating tactic, and the actors have a just cause since they have contracts guaranteeing a certain rate. But this latest news illustrates the tenuous state of the Star Trek films. Ever since Star Trek Beyond underperformed two years ago, and Star Trek returned to TV, the Star Trek reboot films, aka the Star Trek Kelvinverse, has lost its luster. They were intended to attract non-Trek fans and make the franchise more exciting. Unfortunately, the Kelvinverse films pandered too much to adrenaline junkies who would never appreciate the thoughtful nature of Star Trek. Plus, Paramount was convinced that making Star Trek more like Star Wars would increase ticket sales. After all, the previous Star Trek films before the reboot were disappointments. This attitude, unfortunately led to poorly conceived marketing that catered to The Fast and the Furious crowd which alienated fans and didn’t end up bringing in the demographics that Paramount wanted. Just look at this horrendous first trailer for Star Trek Beyond that helped doom the film, which is unfortunate because it turned out to be a good Star Trek film. After Star Trek Beyond, no one knew if there would be another Trek film, at least one set in the Kelvinverse. This question came up after the ambiguous announcement late last year that Quentin Tarantino wanted to do a Star Trek film and that his vision would be even more radical than Abrams’. Around the time that Star Trek Beyond premiered, it was announced that the fourth film would feature a time travel story and have Kirk meet his father. 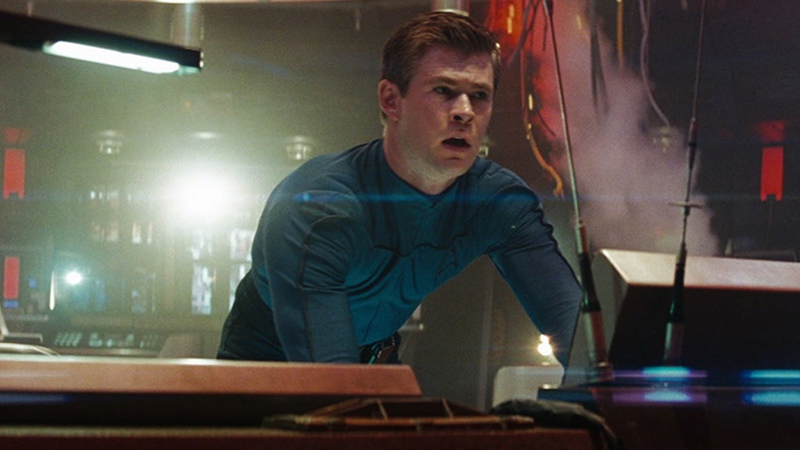 The added bonus is that Kirk’s father was Hemsworth, who is famous for his Thor performances, and he actually excelled in his brief role in Star Trek. The big question is what if Pine and Hemsworth don’t return? What then? Should the roles be recast? Should the characters be written out or should the project be scrapped altogether? The bottom line is that Star Trek Kelvinverse films are expensive to make and are not the big moneymakers that Paramount hoped for, which is why they wanted the two actors to take the pay cut. In order for the films to be viable the budgets have to be pared down which is tricky but not impossible. The next film could use stock footage, it worked for Star Trek II: The Wrath of Khan, which is still considered the best Star Trek film. A lower budget would force the director and writer to focus on characters and plot, not flashy visuals. Honestly, Star Trek can survive without Chris Hemsworth. The role can be easily recast or the story can be tossed out in favor of new one. But can Trek survive without Pine? Sure it can, one thing the Star Trek TV spinoffs proved is that Star Trek is much more than James T. Kirk and Spock and McCoy. It is possible to have Spock as the lead character, maybe do a role reversal of Star Trek III: The Search for Spock and have the Enterprise crew searching instead for Kirk. In the end, Pine may wind up reprising his role one more time and the film will be another hurrah for the Kelvinverse Enterprise crew, which is fine since the reboot films have their merits. Or Paramount can be even bolder and go with a new set of characters or jump ahead into the future and feature the Kelvinverse version of the Next Generation or DS9 crews. Frankly, it is probably time to take a new approach to the Star Trek films and the current cast will get more expensive, have a higher profile these days and may want to move onto other venues. While recasting the Enterprise crew may be an easy out for the film studio, what would generate more interest and maybe bring back disenchanted fans might be to go with a new set of characters and situations. After all, the Star Trek universe is infinite and true fans would welcome this approach if done correctly. I think the Kelvinverse has been quite good, not sure if it will continue in its present form after Star Trek Beyond though. I like your idea of them moving forward to the STTNG or DS9 era with the movies, that’d be fun. There are so many possibilities with the Kelvinverse that has not been touched. It’s a shame TPTB haven’t seized them and relied so much with the standard trope. Of course, this is because Kirk and the gang are popular and safe. But with the way things are going, Paramount should get out of the safe zone and go back to what made Star Trek the phenomenon it is famous for being. 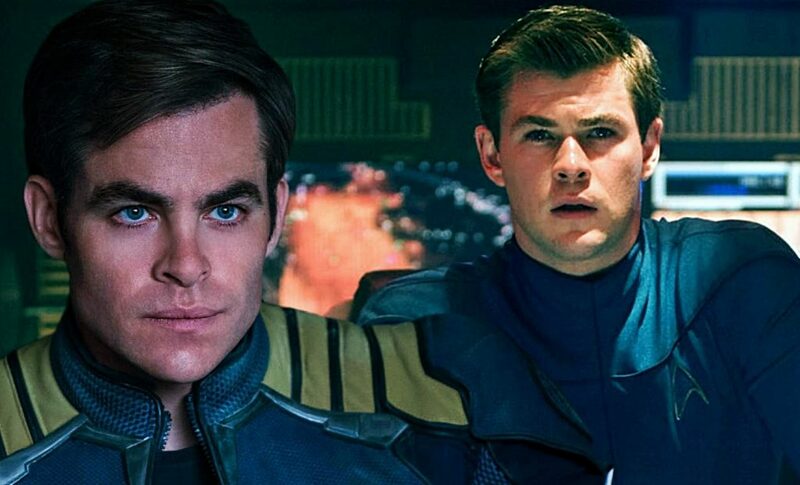 Totally agree that the lack of Hemsworth wouldn’t be a disaster but Star Trek 4 can’t successfully come together without Chris Pine. I have no doubt the film will eventually go into production but Paramount are obviously in a bit of a bind after the underperformance of Beyond…if only they’d had actually put some marketing muscle behind it, it could’ve been a bigger hit. They shot themselves and the franchise in the foot with that awful trailer. The film never recovered as bad word of mouth killed Beyond before it debuted, which is too bad since it was a well done film.